An Australian Baptist minister is praising God after walking away from a horrific plane crash unscathed. 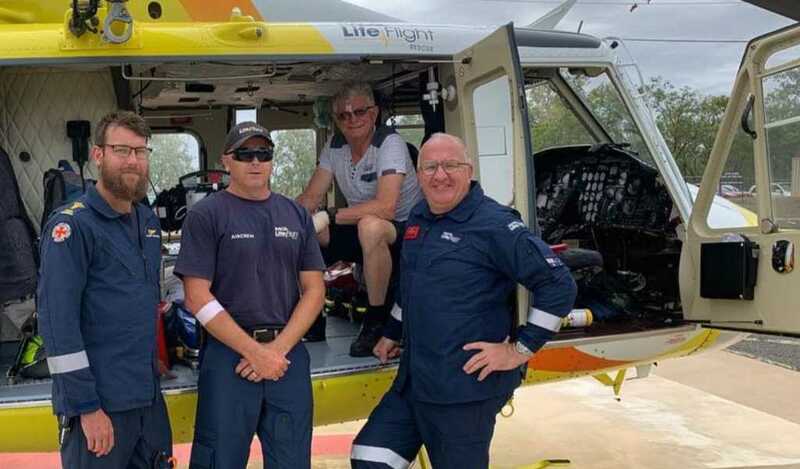 Queensland native Paul White narrowly escaped death when his two-seater Jabiru aircraft suffered engine trouble and plummeted to the ground in Auburn State Forest on Jan. 7. “I think the Lord used a dozen angels up on me yesterday and I’m just very thankful to be alive,” Pastor White said, as reported by the Western Australian. The minister, who hails from the town of Derby, Western Australia, said he became rather panicked when the propeller blade of his light airplane suddenly ground to a halt. “When the fan stops at the front you know something has gone wrong and that’s when a pilot starts to sweat,” he explained. An experienced pilot with thousands of flying hours under his belt, Pastor White quickly employed emergency procedures and began descending at a rapid rate. The ground below was dense with trees, but White knew he had to ditch the plane soon if he had any hope of survival. Almost inconceivably, despite the dramatic nature of his crash, White escaped with just a few minor cuts and bruises. The pastor, who is a grandfather of 10, was airlifted to safety and is currently recovering before he returns home for a much-anticipated reunion with his wife. “They [the rescuers] can’t believe, given the wreckage of my plane, how anyone could have got out of it, let alone be walking and uninjured,” White told the Australian Broadcasting Corporation. “He’s very lucky,” said LifeFlight Rescue Helicopter, Shayne White. “Some of these scenes that we go to with those sorts of impacts come to a much worse outcome”. Now, with a fresh perspective on the fragility of life, Pastor White is even more invigorated to get back to his full-time ministry, “Kingdom Air.” Kingdom Air is an aviation ministry he runs which serves to provide pastoral services to remote Aboriginal communities.